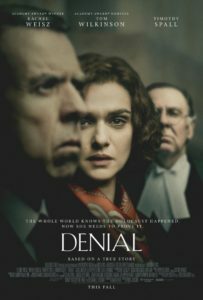 RYAN: Based on the true story of writer/historian Deborah Lipstadt, Denial is the best courtroom drama since A Few Good Men – and this time the stakes are higher, knowing it actually happened. CAROLINE: Wow. That sounds impressive. How is Rachel Weisz in this? RYAN: It’s the role of a lifetime for her. She has a personal connection to this role, spent time with the woman she portrayed and I had the unique opportunity to meet with a friend of Lipstadt’s after the screening who actually attended four days of this trial in London in 2000. CAROLINE: That’s amazing. What did she say? RYAN: She said Rachel embodied her to a T; if you closed your eyes, it was like listening to the real woman. I never met Deborah, though she has visited the synagogue I attended growing up, even recently. But as for Rachel’s performance, it’s very moving and the script is written in a way that helps you feel all of her anxiety and frustration. It’s an incredibly suspenseful movie. To the point where I felt pain in the pit of my stomach at times. CAROLINE: Well it is a very traumatic part of history. RYAN: Tom Wilkinson as her lawyer and the Timothy Spall as the denier were both excellent. It was actually quite interesting how many people in my movie club were buzzing afterward how much Timothy’s character reminded them of things Donald Trump has said recently; not about denying the Holocaust, but just the way he responds to things. Those moments were astonishing in the film and the whole audience reacted audibly. CAROLINE: It’s always interesting to see parallels between historic moments and the present. RYAN: Totally. And thematically – this film raises some highly provocative issues – what are the ramifications of rewriting history – in any sense? It’s such dangerous territory and then the discussion about why it’s important to remember horrors of the past – to honor victims, to not repeat wrongs, etc… it’s all very complex and fascinating. CAROLINE: I know you usually don’t like war movies, Holocaust movies? RYAN: Right and precisely because of the basis of this whole film – because it actually happened, I find them scarier than any horror movie. 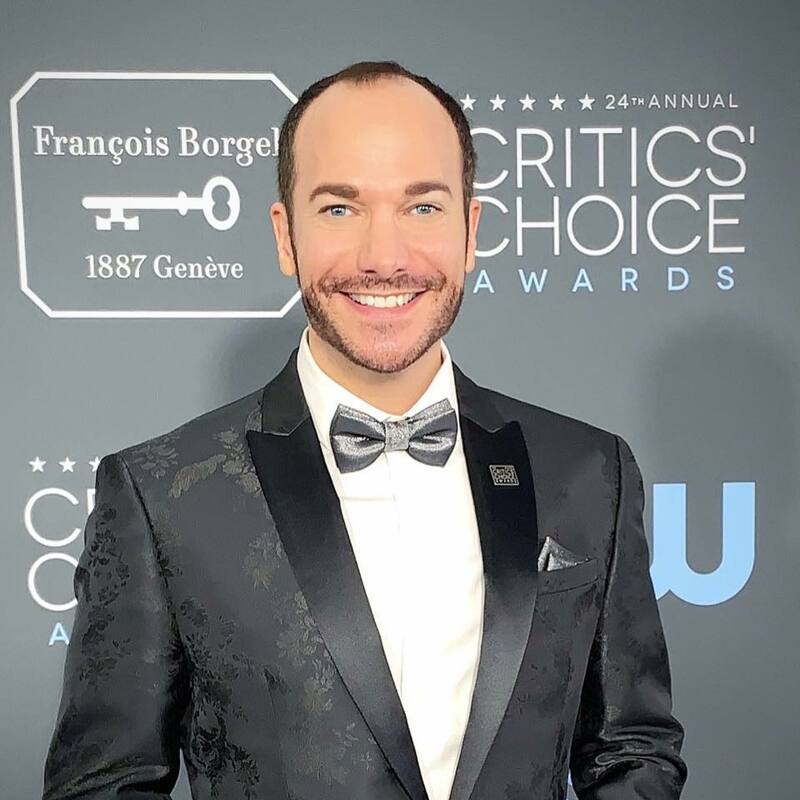 I can’t wrap my head around the evils of war and humanity that occurred in the Holocaust, so “going there” for the span of a movie is just horrifying for me – but this film really just focuses on the case, there is very limited disturbing imagery. But our frame of reference from learning about it – or even seeing Schindler’s List – is enough to draw upon. And this isn’t that kind of movie. I could watch this one again. In fact, I will. CAROLINE: Ok cool. I know you see movies multiple times when you really like them. RYAN: There is much to like here. It’s such an emotional journey and the justice that’s come into question is crazy. Also, as a historian, myself, an Oz historian, where I present across the country on The Wizard of Oz, and I’ve been honored to have my hands cemented in the Oz Museum in Wamego, KS, and I’ve contributed to the All Things Oz Museum in Chittenango, NY – I took to heart a lot of the discussion here about historians and how facts are called into question. It hit home for me on that level as well. RYAN: This is an historical drama that plays like a psychological thriller. And I also really enjoyed it as an American audience member seeing how differently the legal process operates in London. The editing is very good – revealing some of Rachel’s character’s thoughts and feelings and it’s also colored in a way that feels very WWII even though it takes place in the 90s and early 2000. CAROLINE: I’d like to see it. RYAN: I’ll be seeing it again, for sure.